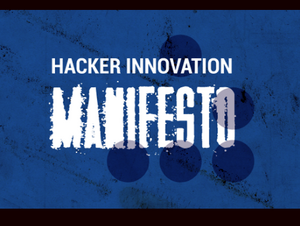 Welcome to the Hacker Innovation Wiki. 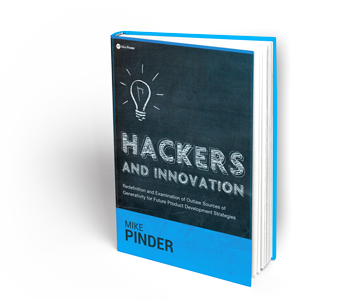 It has been created to discuss a term in detail coined 'Hacker Innovation'. 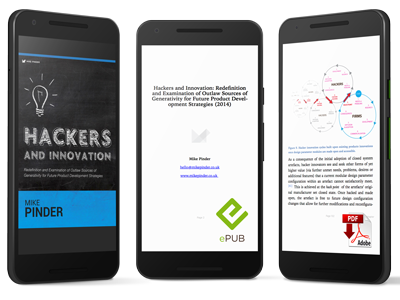 I am currently putting together this work in progress monograph: Hackers and Innovation: Redefinition and Examination of Outlaw Sources of Generativity for Future Product Development Strategies (2014) by Mike Pinder and this wiki is a place for others to critically discuss and contribute to the topic if they wish. Please note, this is work in progress and I will be adding, updating, editing and revising sections based on new research, observations and feedback over time. Feedback is central and very welcome to this work and I have included a comments section at the bottom of each page. Contact: You can also get in touch here or with me via LinkedIn here. Thanks for reading! If you don't want to read the entire monograph, you can read a summary of the key takeaways and points as a manifesto here. You can read the monograph for free online here or you can purchase an ePub and PDF version for your smartphone, tablet, laptop or desktop e-reader. You can start reading online now by selecting a chapter below. This page was last modified on 27 April 2016, at 09:37. This page has been accessed 250,039 times.